We love nothing more than inspiring our many students, followers and readers with some juicy design tips. This includes singing the praises of virtual products in addition to real ones! 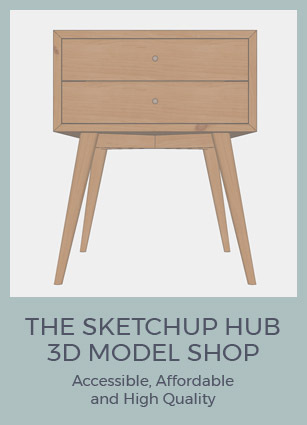 Yes, we’re talking about SketchUp 3D models. 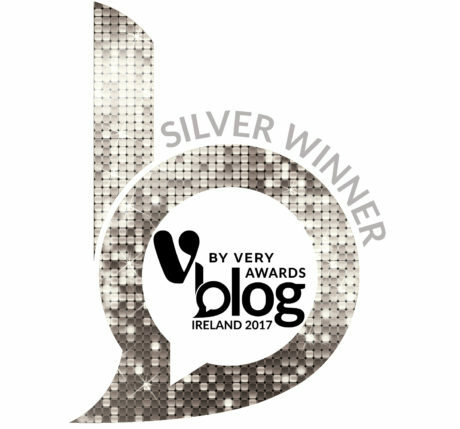 Every month we’re going to feature our favourite from the online shop and show you just how versatile they are. Yup, we’re putting our design smarts on the line! Let’s do this! 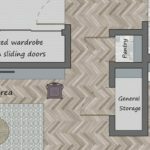 We can’t help it: when we see an item of furniture overflowing with charm and personality, we want to make sure you guys have the opportunity to use it in your SketchUp projects. And we know that if we get excited about a certain statement piece, that you will too! 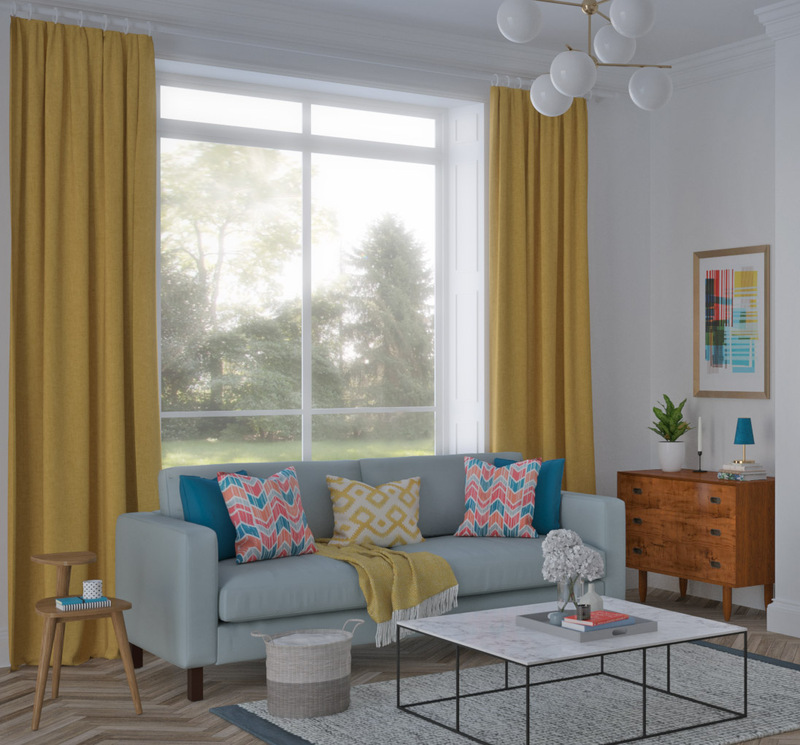 Our 3D model shop is a treasure trove for Interior Designers; we don’t just display reams and reams of 3D models, we include them in SketchUp design schemes too. This helps you observe how the 3D model looks in the context of an interior and it (hopefully) should provide you with a little design inspiration. Some of the design schemes will be an elevation or if we have the time, it might be a photo-real render. 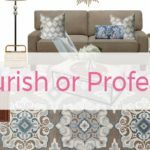 Either way, we always make sure that we’re aware of current and emerging trends within the interiors industry, so that our designs grab your attention. Ultimately, we want to encourage and motivate you to create beautiful, exciting and striking interiors. 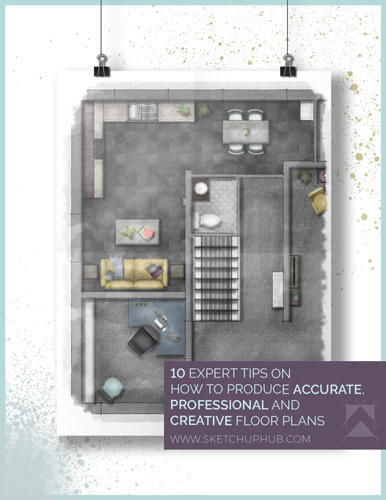 We want you to take risks and try new styles with your SketchUp projects because challenging yourself and experimenting helps you to develop and grow as an Interior Designer, plus it’s a great way to build your design portfolio and provides great social media content, in addition to striking client presentations. Reusing your SketchUp 3D models also makes sure that you optimise your investment! 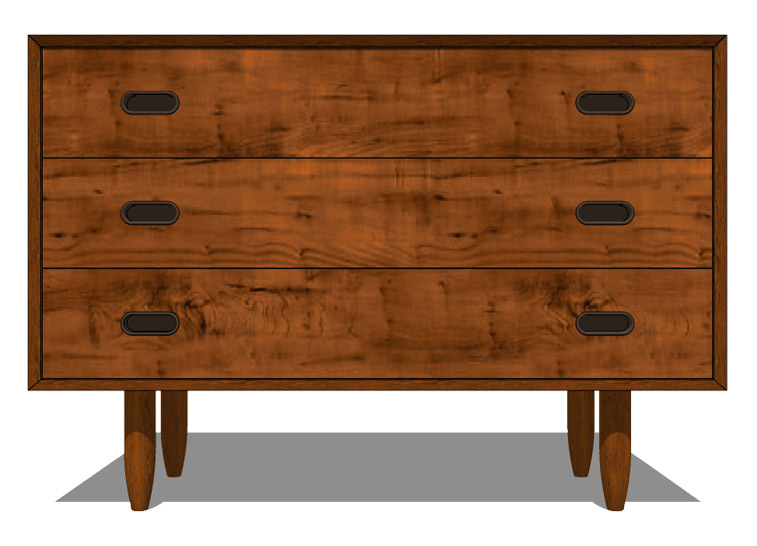 Let’s take a look at FOUR different designs that include our beloved vintage chest of drawers. 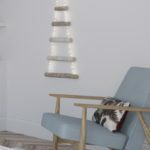 This is a great way to demonstrate the variety of ways that you can reuse your SketchUp 3D models and we’ll also give you the lowdown on the inspiration behind each design scheme. This is definitely a high impact design. 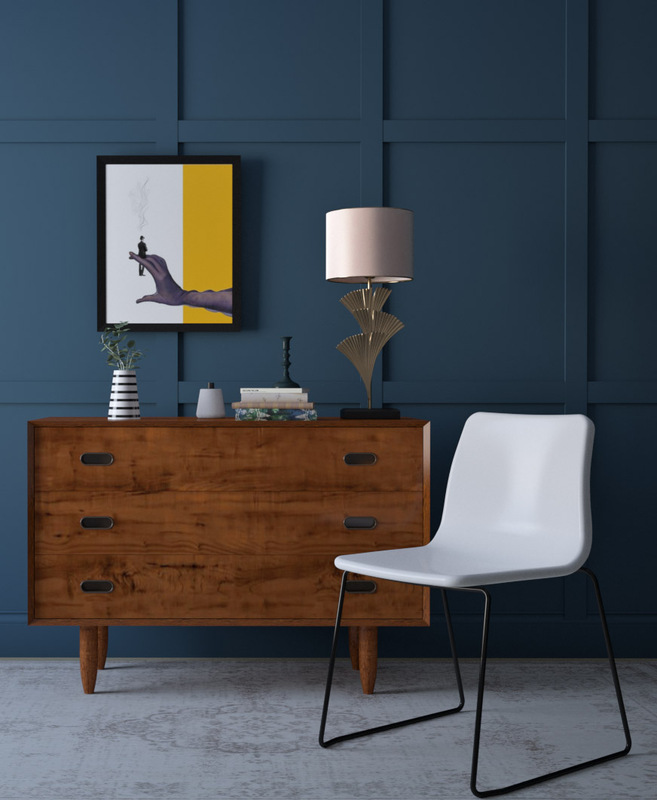 It’s got it all: a dramatic dark wall with dominant panelling, abstract art, an Art Deco inspired lamp, a vintage chest of drawers in an incredibly rich tone and a modern statement chair. And guess what? IT WORKS! This is one of those interiors that stops you in your tracks. You need to tentatively walk closer and make sure that your eyes aren’t deceiving you. The one important element that brings this design together is the abstract art, especially with its lick of white which complements the chair. We wanted to create a scene that had a strong visual presence, which was successful at combining a number of different styles. Not an easy task! This is the type of snap that has all of the hallmarks of an Insta-ready design: bright, inoffensive and it includes PINK! We dulled down the sugary vibe by adding a few dollops of sleek black and incorporated an industrial edge with the mirror. The vintage chest of drawers has been given a slight makeover with a new oak finish. We felt the original tone wasn’t quite right for the colour palette in this room. This interior is very on trend with this style of counter top basin and the leaf print on the cushion is another subtle nod to contemporary accents. 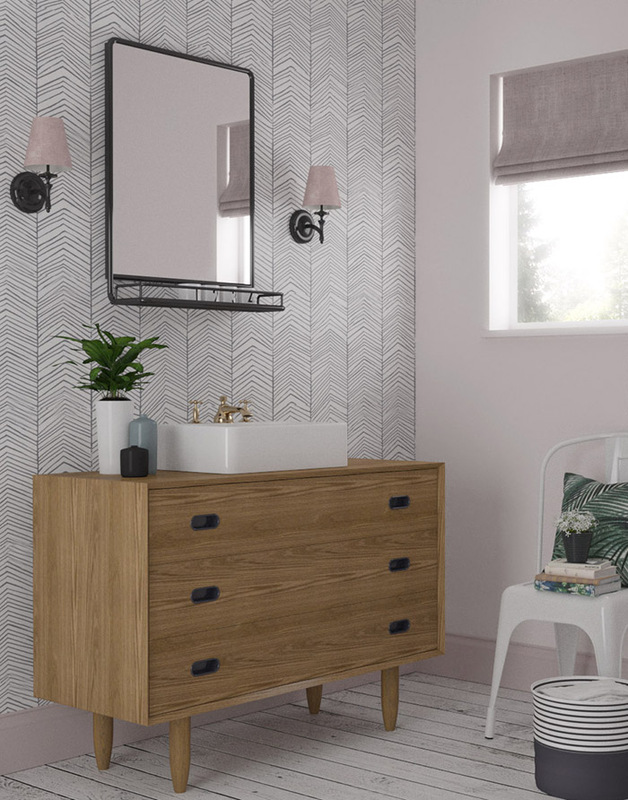 With such an eye-catching statement wallpaper, alongside pink walls we decided to stay away from a patterned floor and played it safe with white planks. There’s lots going on in this small space but the pared down colour palette and limited use of pattern keeps everything in check. We created a beautiful watercolour illustration for this design just to mix things up a little! It’s very easy to forget that 2D elevations can be just as visually pleasing as photo-real renders. 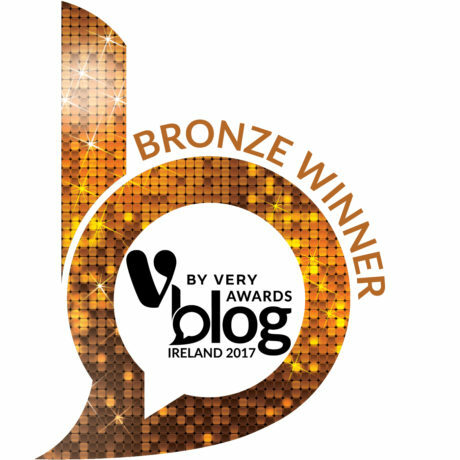 We had a clear objective with this design and that was…colour! Lots and lots of colour! We decided to add bright colours that were interspersed with clean, crisp white. The white colour was continued on the vintage chest of drawers, where we changed the drawer fronts. We liked the idea of placing the chest of drawers beside the sofa in place of a side table because it’s quite unusual looking. Then we accessorised the top of the drawers with a striking table lamp, a few books, delicate flowers and a lovely round mirror. 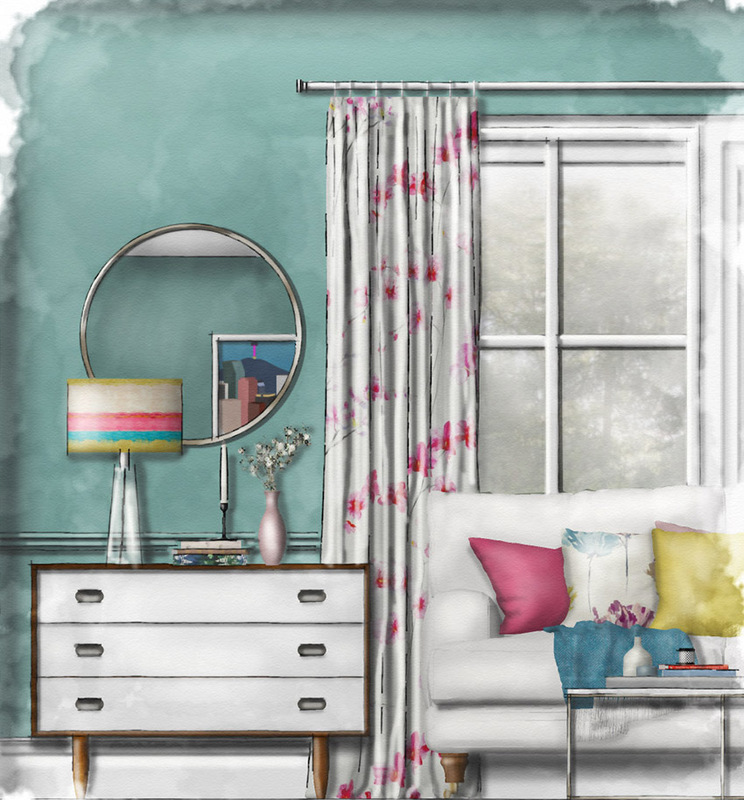 A refreshing colour palette, which is perfect for Spring. In this design, we’ve placed the vintage chest of drawers to the left of a chimney breast in this living space. We love the current design trend of incorporating shelving and storage either side of a fireplace, and painting it the same colour as the wall but we felt this chest of drawers brought a lot of personality to this space, so we plonked it there instead. We also love the modern art above the chest of drawers with the gold frame. It adds a nice amount of bling without going too OTT, plus it complements the modern chandelier and the little lamp. The dominant design element in this space is the mustard curtains, especially with the high ceilings. However, because all of the walls are white and pattern has been restricted to a number of cushions, the curtains aren’t visually overwhelming. This is the perfect example of how different styles (modern, contemporary and vintage) can be combined to produce a cohesive design scheme that is still extremely inviting. When Did Interior Design Become Amateurish? 0 responses on "One Vintage Chest of Drawers Four Ways"